Colleges and universities across West Virginia are pledging increased support for student veterans by accepting the ‘5 Star Challenge,’ which outlines standards for meeting the unique needs of military service members and their families. 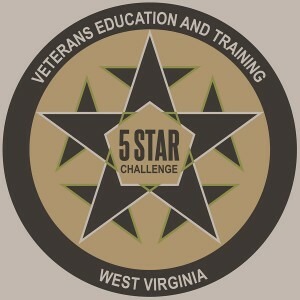 CHARLESTON, W.Va. – West Virginia’s public two-year and four-year colleges and universities are pledging increased support for student veterans during events to be held this week through the State’s ‘5 Star Challenge’ initiative, which launched earlier this fall. The Challenge, which calls on institutions to adopt a set of exemplary standards for supporting student veterans, is a tribute to the military tradition of issuing “challenge coins” to service members who embody the values and standards of their military units. All public undergraduate institutions in West Virginia have committed to accepting the challenge, which calls for 1) signed commitments from college and university presidents to adopt best practices and standards, 2) a focus on increasing access and affordability to higher education for student veterans and military service members, 3) increased academic support including priority registration for classes, 4) enhancing social networks for veterans and military service members on campus and 5) greater collaboration with community organizations working to meet the needs of military service members. A detailed outline of the Challenge and a list of challenge coin ceremonies can be found at www.cfwv.com, the state’s free college and career-planning website. According to 2015 spring enrollment data, more than 2,700 students are enrolled using Veterans Affairs (VA) benefits within West Virginia’s two-year and four-year public higher education systems. 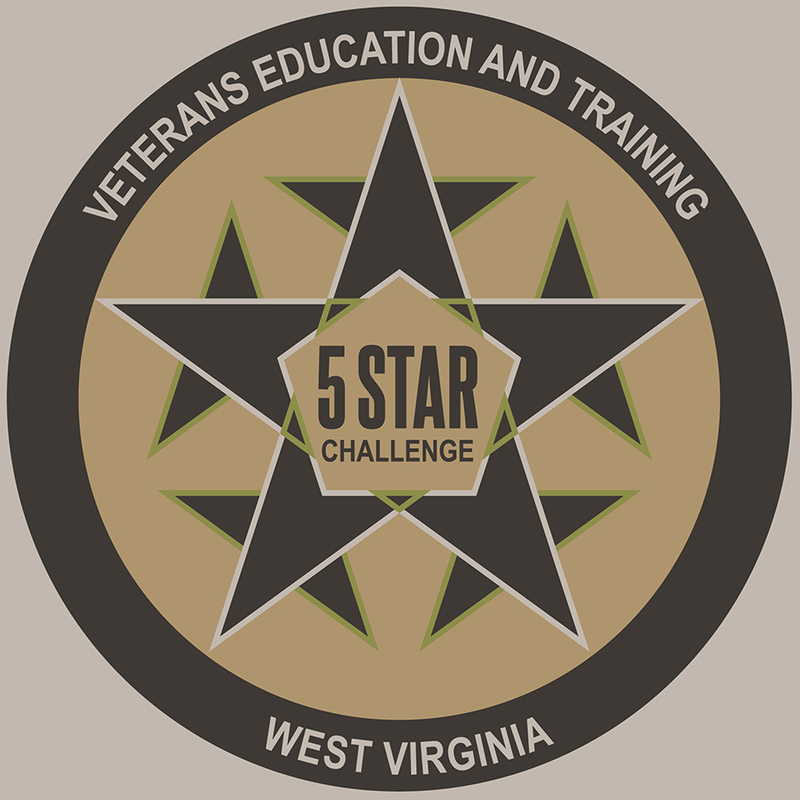 The 5 Star Challenge is an initiative of the Office of Veterans Education and Training Programs within the Division of Student Affairs at the Commission and WVCTCS. In addition to issuing the challenge to campuses, the Commission and WVCTCS are committing to providing more resources to help student veterans navigate the higher education system and find support on campus and in the community.